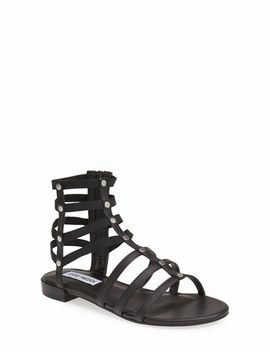 Laddered straps perfect the structured silhouette of this neutral-hued gladiator sandal, designed with a side zip and easy-fit elastic around the ankle. 6" shaft height (size 8.5). Synthetic upper and lining/leather and synthetic sole.